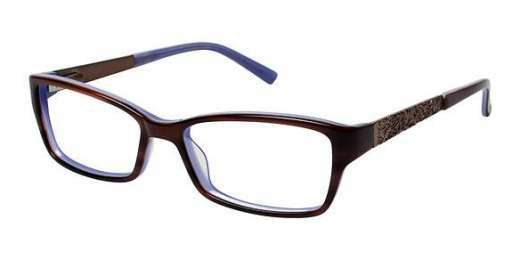 The Nicole Miller Forsyth is your stylish solution. Made of plastic, the Forsyth measures 51 mm, which makes it suitable for medium faces. The Forsyth is available in an assortment of color options to complete your unique style. Its full-rim design adds an extra touch of style. Model comes with a 3-year warranty. For the best of both style and practicality, look for the Forsyth from Nicole Miller. Shop today to enhance your look.